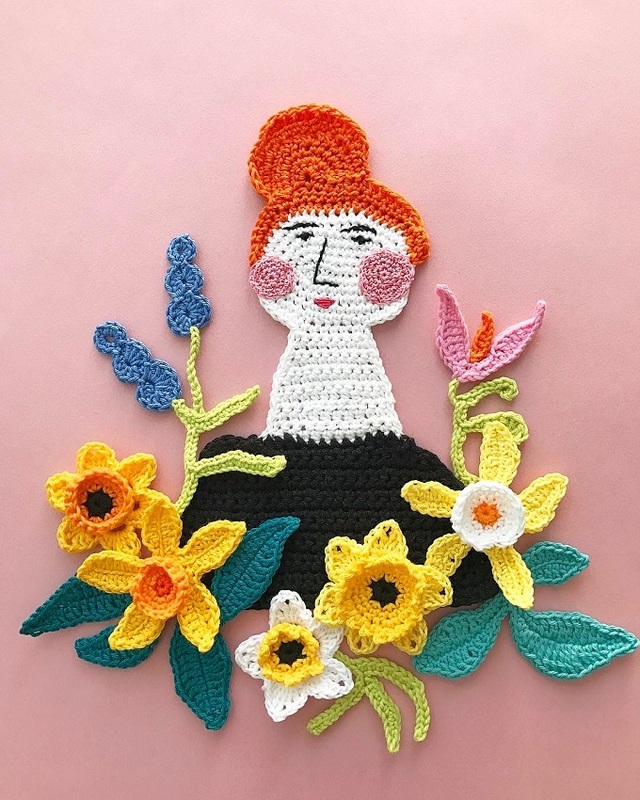 We’re starting off the week with a dose of color in the beautiful crochet illustrations by Textile artist Tuija Heikkinen. 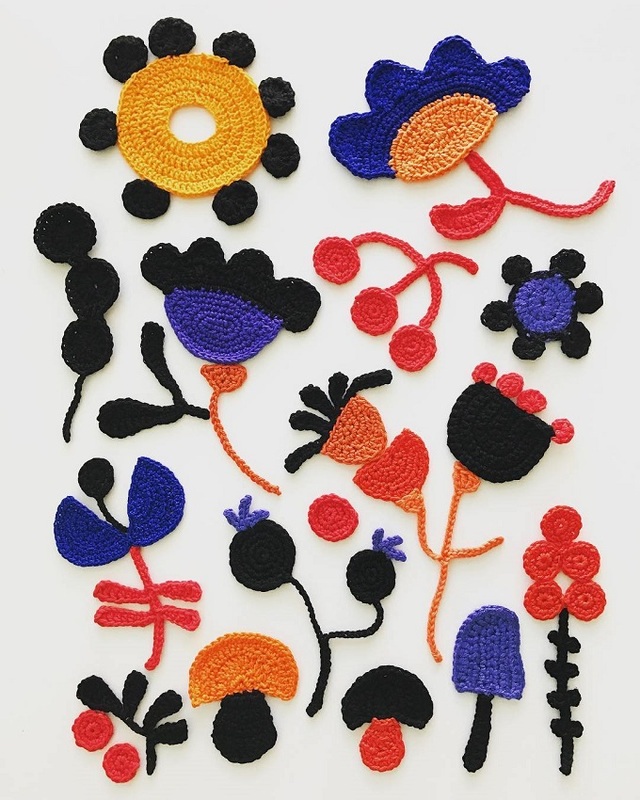 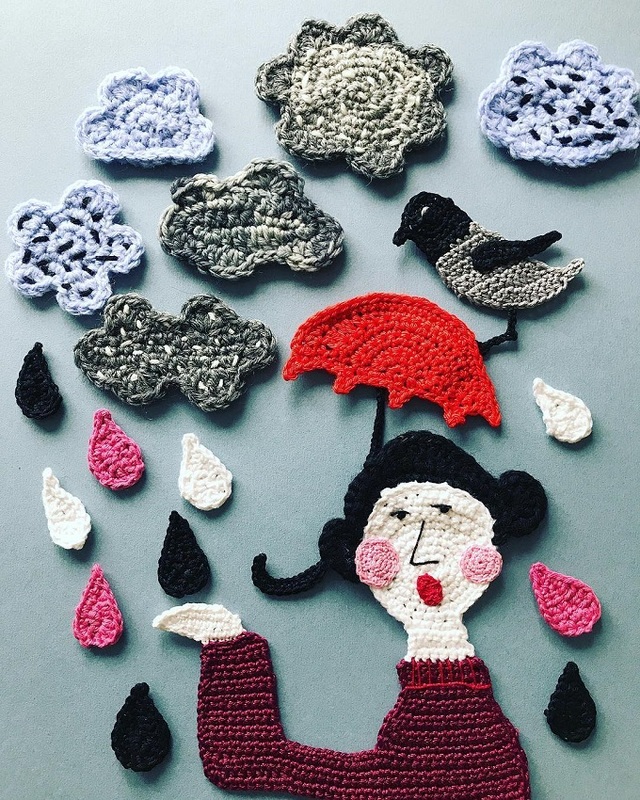 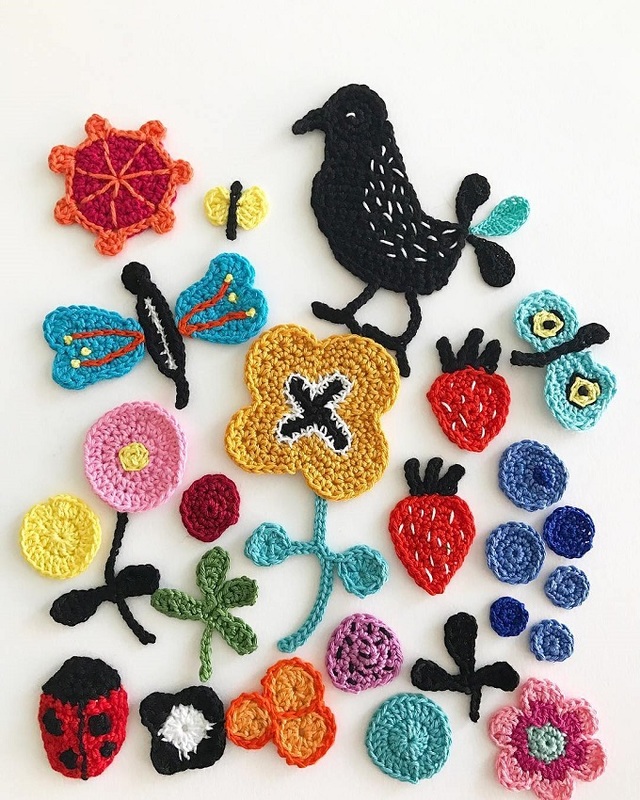 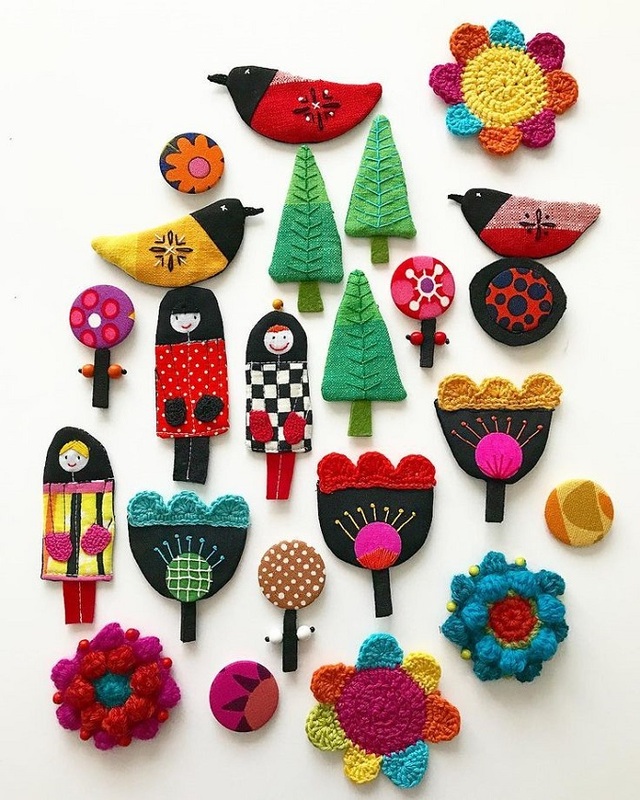 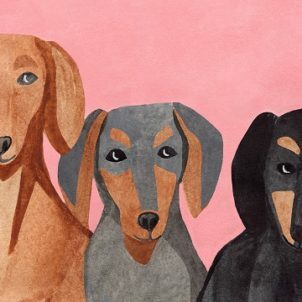 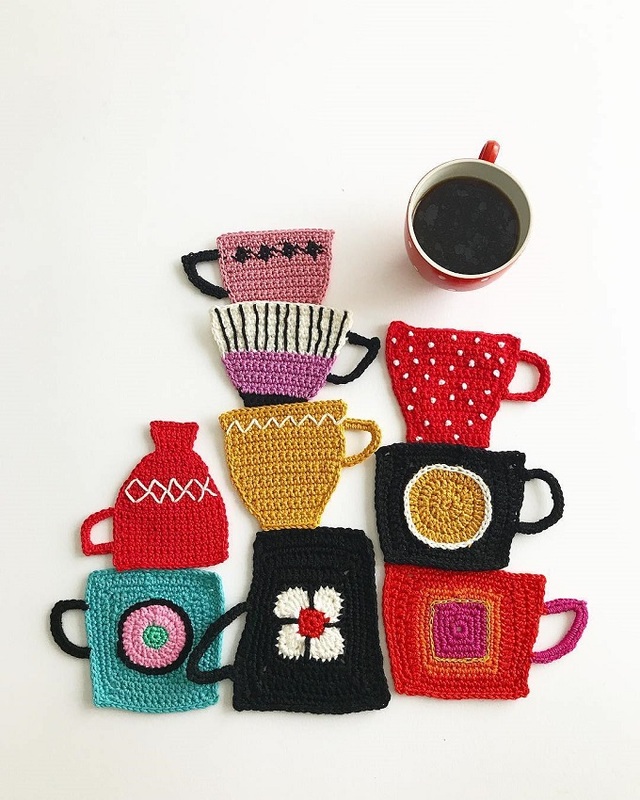 I stumbled upon Tuija’s Instagram some time ago and fell madly in love with her rich and colorful displays, created from small patches of crochet illustrations. 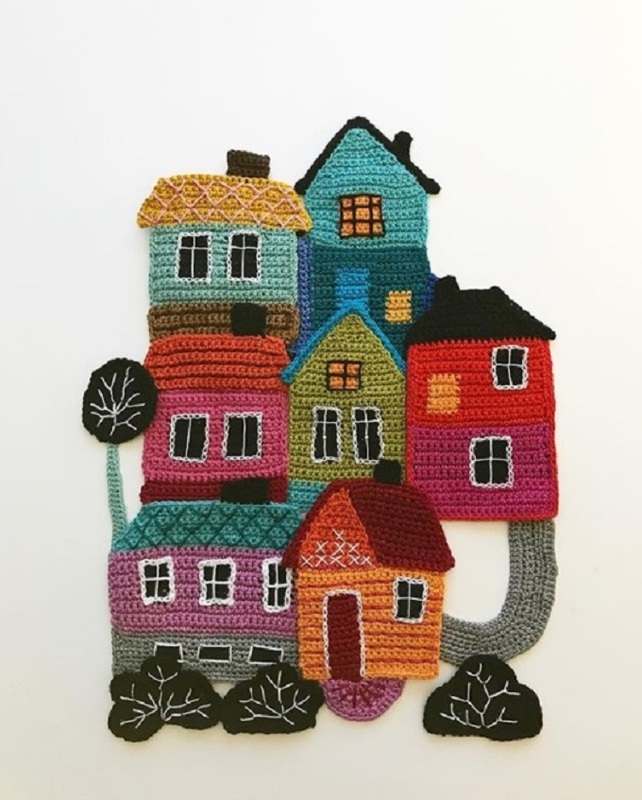 Tuija does knitting and embroidery too and her creations are frequently applied on wearables (I’m sooo in love with these boots!). 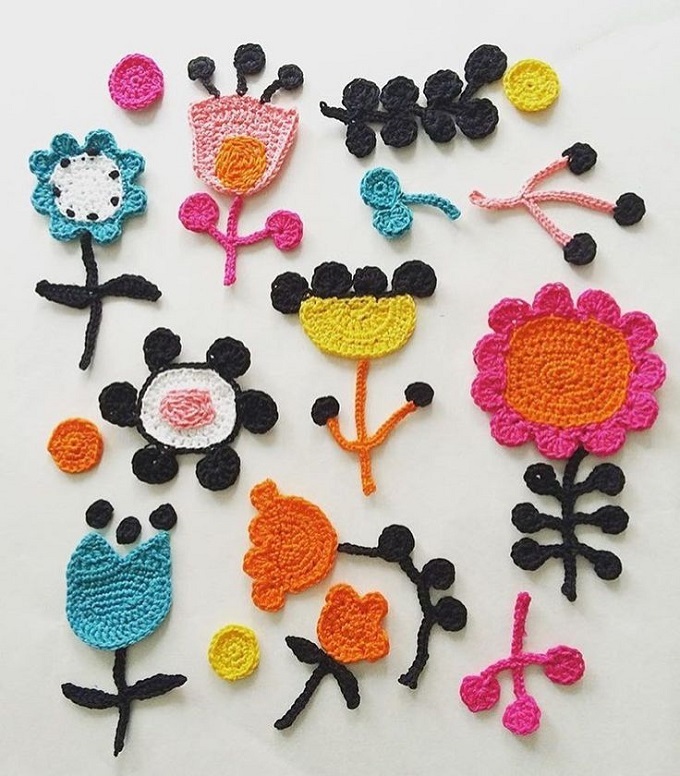 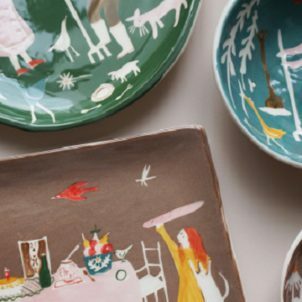 Hop on over to her Instagram to see many more!